It's autumn. Why not bring some of that fall seasonal flair into your mac and cheese? I found this crazy idea while perusing the inter-webs. Check it out! 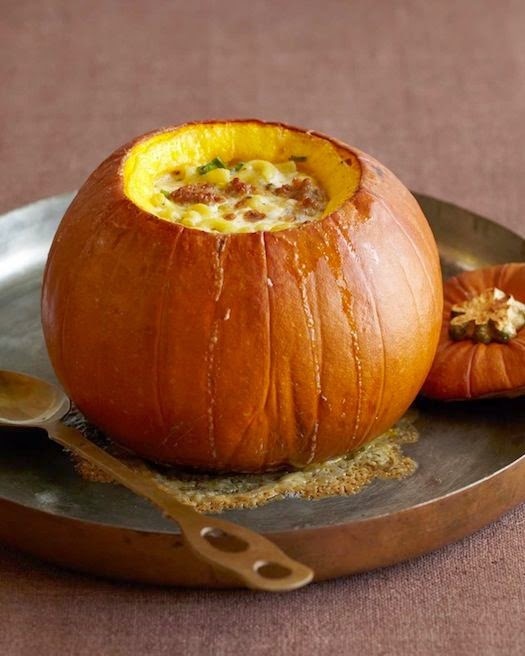 It's mac and cheese baked in a pumpkin... IN A PUMPKIN. I feel like this is one of the most unique mac recipes I've ever seen. You can check it out for yourself at The Culinary Life.